SHOUTS of joy rang out in the air. Dancers in colorful costumes, students in plain clothes and normally reserved teachers all danced fervently to the one beat, one dance and one vision that unite Cebuanos during this annual celebration of Sinulog. 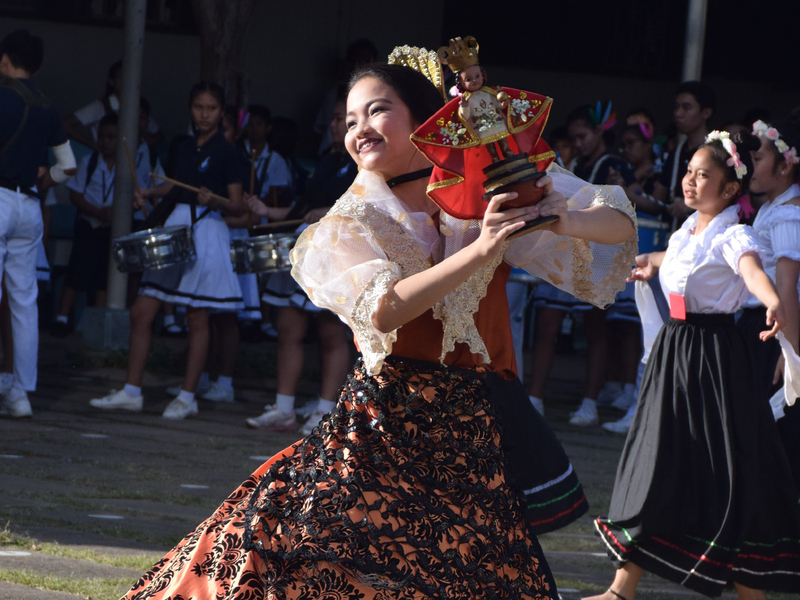 On Friday, January 18, 2019, CIC-Cebu celebrated the annual Sinulog festival. Students first presented a short reenactment of the arrival of Magellan in Cebu and of Queen Juana receiving the original Sr. Sto. Niño image. This was followed by selected grades 9 and 10 dancers, who performed the Sinulog before the celebration of the Holy Mass, presided by Rv. Fr. Rolyn Vics, CM. During the Eucharistic Celebration, the Visitatrix of the Province of St. Louise De Marillac – Asia, Sr. Maria Ana Rosario G. Evidente D.C., graced the crowd with her presence and unveiled the official logo for the Year of the Youth.